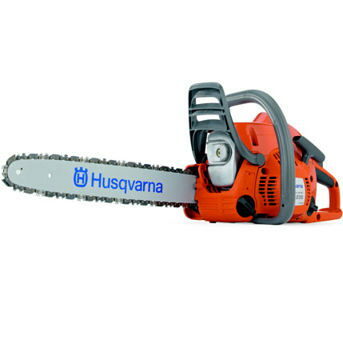 Husqvarna model 445 16" Chainsaws. Light weight gas powered saw recommended for pruning or light wood cutting up to 12" diameter logs. * Please call us for any questions on our chainsaw 16 inch bar rentals in Portland OR, Gresham OR, Milwaukee OR, and surrounding metro area.